If you happen to be staying in one of Corporate Housing Factory’s apartments in the New Amsterdam building and don’t feel like cooking. You are in luck! There are so many restaurants to choose from in the Amsterdam Zuidas area. Here are fifteen of the best and top-rated, where you can enjoy a beverage, a quick bite, or a full meal. Known as the Zuidas urban food court, this Market is filled with various cuisines from around the world as well as bars for tea, coffee, beer, and wine. Market 33’s open and laid-back environment is open all day long (closed Sundays). Reviewers say the food and the fun times are the reasons they come back. Seasonal salads with lots of nutrition, as well as juices and soups. 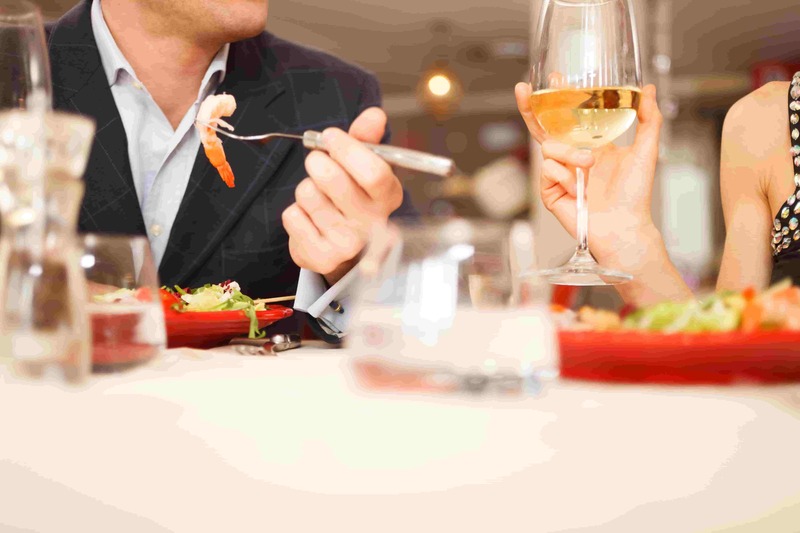 A healthy way to enjoy a meal out with friends or business acquaintances. Fresh poké bowls and bao buns are all the rage at the moment and you can get your fill at this restaurant. Sliced fish, mango, and cucumber paired with chickpeas, pomegranate, and rice, or quinoa—combine them whichever way you like! If you are itching to spend some time at the “beach” then head over to Strandzuid Amsterdam and experience this modern German beer garden. There’s beer, snacks, water, and even ping pong, making this city beach a popular destination when the sun is out. If you are a sushi lover, then you will want to visit Kenko Kitchen. With fish and vegetables delivered every morning, not only are the ingredients fresh, they are also full of flavour. The sushi comes in all types and sizes. The cuisine of Gustavino is a mix of original Italian combined with Mediterranean dishes. If that wasn’t reason enough to visit, then Gustavino’s wine library, Vinoteca, will be! In the mood for a fresh sandwich, baguette, or salad? Then head over to Mech -simple, fast, and super tasty. Bolenius is an experience for the senses designed by Chef Luc Kusters and Host Xavier Giesen. The main element of the Michelin Star restaurant’s menu is locally-grown, quality ingredients, resulting in flavourful, traditional Dutch dishes. This initiative by ABN AMRO is one part restaurant, one part rooftop bar, and one part event space. Downstairs in the restaurant you can enjoy dinner or group drinks, while upstairs at the rooftop bar special teas, warming coffees, and a relaxing environment await you. Sometimes there is nothing better than a good cup of coffee and a late breakfast. At The Breakfast Club you can gave both, no matter the time of day. Choose from speciality city breakfasts, pancakes, cereal, and eggs. Or, if you really prefer to skip “the most important meal of the day”, sandwiches are also available. At Loetje, you can enjoy your steak and Dutch cuisine inside the energetic café or outside on the terrace. This restaurant will open up very soon! Fresh, authentic Japanese dishes with a warm and friendly staff make Sushilee worth a visit. There’s plenty here for those who don’t feel warm and friendly towards sushi, including salads, appetisers, and main dishes. Interesting salads and sandwiches can be enjoyed here along with the cosy atmosphere. Get some work done while you enjoy lunch or even dinner. And with a name like Coffeemania, good coffee is also an option. Described by the regulars as a bar with really good food, this restaurant is praised again and again for its fabulous service and staff. Whether it’s a bar or a restaurant, you’ll love the drinks, the food, and the people.